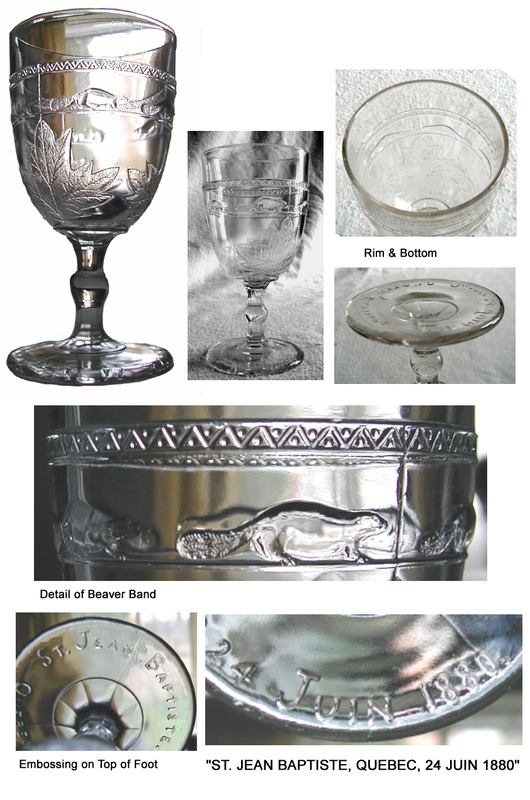 I have attached some up close - detail of the Beaver Band Goblet. To me - as a collector, what is truly unique about this piece unlike any other piece is that it was made for a very specific event, it is dated, and unlike many other pieces which were produced for years - this piece was made for one day and never again. To me it is not only my favorite goblet - but my favorite piece of glass! I hope you enjoy these close up photos. 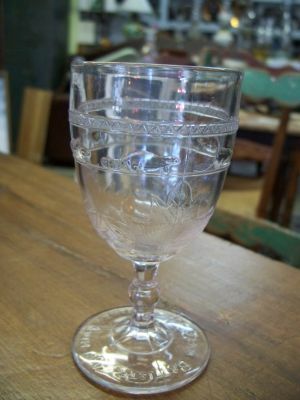 No doubt, it’s a rare goblet and extremely desirable (I also love it a lot although I don’t collect pressed glass) but I’ve seen it a few times ... like 11 or 12 different one in the last 10 years (many in private collections, one in St-Jean Museum). Any idea how many were produced at the beginning? Great question. 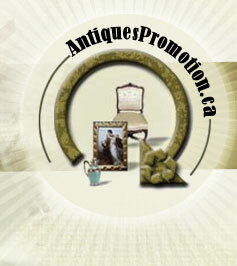 I have seen 25-30 of them over the years here and there at antique shows. As a collector I look for them. As to how many were produced - excellent question - anyone have any idea? They were made for 24th of June 1880 - so it could not have been that many. I have heard 4000 at some point but - I have never seen this documented anywhere. Whatever the number over the last 130 years quite a few must have been broken etc........it is amazing that most that you see are in pristine condition so most who had them must have put them on a shelf and not used them. Does anyone have any idea how many were produced? As you have rightly said: "They were made for 24th of June 1880 - so it could not have been that many." The Banquet of this 24th of June 1880 was in the Skating Rink Pavillon, near St.Louis Gate. Catered by Hôtel St.Louis, the Rink was decorated for the occasion and the tables could accept more than 800 people (Admission Fee : $2.50): so we can presume everybody had one of those Beaver goblets and the count would be less than a thousand. This is documented in "Fête NATIONALE des Canadiens-français célébrée à Québec en 1880" by H.-J.-B. Chouinard in 1881. Chapter III is dedicated to this Banquet and there were as many as 16 Toasts with as many speaches but nowhere I could find an allusion to the glasses they held up for these toasts. I’ve seen it a few times ... like 11 or 12 different one in the last 10 years (many in private collections, one in St-Jean Museum). Any idea how many were produced at the beginning??? Hi there....I had heard at one point 1000 were produced, but there are a lot of these out there still and many have been broken over the period between 1880 and now - so I think production must have been much more than 1000 originally.